The last two years have been a ride. We’ve come a long way. Graduated college, learned, had jobs, cried, laughed, traveled and a whole lot more. We first started this blog as an effort to keep Miti and Marta best buddies forever, because incidentally, we live on opposite sides of the planet some of the time. Also because it’s not very often that you find someone who shares your love for books, writing, and Casey Neistat in a business school. (True that). What’s more, we LOVE writing. Like, L-O-V-E it, and we decided to challenge ourselves to blog on a mostly daily basis for two years. Admittedly the road hasn’t been smooth. There have been breaks, misunderstanding, writer’s blocks but I guess it would suffice to say that for me (and us) this was something that kept us grounded. It helped us really think about the things we’ve done and also consider how our life could be worth writing about. And that my friends, is something. So… what does the end of this adventure tell us? I think this blog stands as a reminder to be thoughtful, to be kind, to be honest. It also serves as a reminder that life is a beautiful thing, if you only let yourself see the bright side. We have loved throwing our thoughts and stories at the Internet. We have loved hearing from some of you guys. We’ve gotten excited about our audience and the growing amount of traffic. That is not to say that we are going to stop writing and this is some kind of a friendship break up. We’ve been toying and been in denial (mostly me, Miti) about ending this exchange. We found it hard to let go because this space has so much history. I guess that is the last thing we leave you with, dear reader: do not be afraid to go out into the great beyond. Do the thing you are doing now with heart and passion, and when it is time to move forward, step into the unknown willingly. The world needs more kind, loving, and passionate people. Most times its hard to be those things but I guess its a choice that we make. Love yourself enough to make these decisions, honor what’s truly you; celebrate yourself. I cannot stress how sometimes I live in a cloudy messed up bubble and mess with myself. THAT’S NOT OKAY! You deserve clear skies and clear minds. Have you ever just taken a good long look in the mirror, and realized that your insides and outsides aren’t matching at all? Well, that was me today. It was a long time coming. It is my last semester of college, and I have been burying myself so deep in it I am not very aware of it. In fact, I think I have been doing this for at least a year – realizing that sucked, but at least now I know. I have spent a very long time trying to make myself into something I am not. I have been acting blasé, and overconfident, and it’s killing my vibe. I am killing my own vibe here (facepalm). I didn’t really notice any of this fully before today, because today marks the first day I have ever been asked to leave a job. I wasn’t a slacker or crap, I simply wasn’t a good fit and it wasn’t good for business. Now, I am left with no job, three months left before I move across the globe, and no savings. Oops. I have spent a lot of time pretending to be this do-it-all, good-at-everything person. I have faked it too much and ended up not making it this time around. Part of my dad’s reply to my telling him about losing my job fit the bill well: “Don’t pretend like you’re something you aren’t. Instead, embrace who you are.” And I cried. He knew what was going on before I did. He also reminded me of the importance of being humble, which is something I am working on. He also reminded me to come back down from whatever cloud I was sailing on. Gotta keep at least one foot home, and present. With my graduation coming closer I have been a little stumped about what I am going to do after that. I am not the one for nostalgia, there are times when things end and I am not ready for it, but graduation is not one of them. I feel like I’ve gained everything that I could from this place and I am ready to move on. A lot of my friends don’t buy the fact that I can move on so easily. But to be honest, I’ve wasted so much time in the past pining over things that I missed, that I lost a lot of opportunities in the present. My father said this beautiful thing, let go of things (good or bad) with loving kindness. That way, you can make space for newer things in life. Sometimes, moving on can take some time. And that’s okay. Let it, you can’t force your heart to heal quickly. But know that there is a light at the end of the tunnel and newer things are always around the corner! Senioritis has gotten really strong lately. The worst of it is feeling constantly unfulfilled by my day to day life. So, I shook things up as one who is stuck in a heap does. I decided to join Camp NaNoWriMo! The novel is coming of age mixed with mystery thriller. Three teenagers battling a national crime organization, plus family secrets and love entanglements? That’s what I’m writing–or I think so any way. I get lost intros work. It feels me away from senior year just enough to restore my sanity and remind me that school is just one thing among the rest. For now, it’s time to enjoy the ride! I started out this semester as an absolute mess. My friend told me that it was because three years worth of feelings caught up to me. Maybe she is right or maybe I was a mess for no reason at all. It seems like I am finally getting out of that funk and it is such a relief. Lately, my goal has been to focus entirely on my academics (what with graduating in a month and all) and it seems like the best thing at the moment. To have something that I can focus on entirely takes my mind of all the unnecessary drama that put myself through these past months. But here’s looking forward to an incredibly productive and enriching month of my last few weeks in SLC! 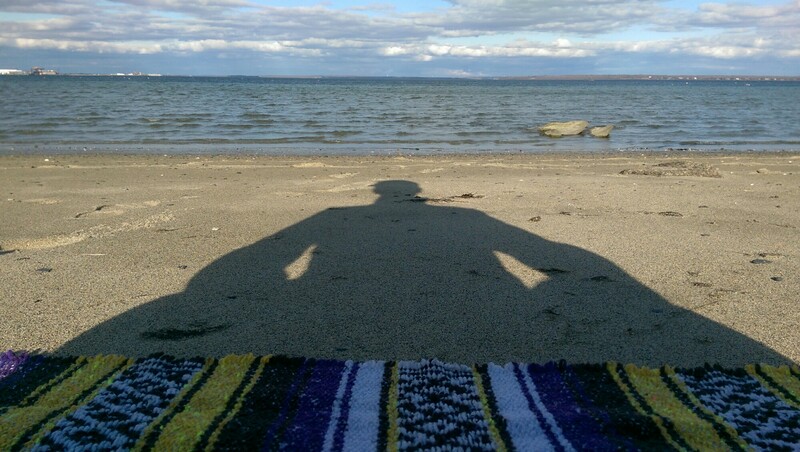 Yesterday, I turned off my phone, kicked back, and went to the beach with book and a yoga blanket. I had the most glorious thirty minutes of my life. We get really attached to crud, in our daily lives. It’s really easy to do so, and we must constantly re-excavate ourselves so as not to get buried in it forever. And this was all inspired by art. At school, my writing class finally was assigned it’s first real assignment all semester–making an audio story. My group of three really liked my idea, which was the telling of before, during, and after getting a tattoo, with each one of us telling a different piece of the process with our own stories. It was amazing, to just be wildly creative. I felt elated for hours! During the class I shared the story of my one and only tattoo, which I got while traveling South America. I was reminded of how inspired and free spirited and relaxed I was during that trip and it just spread to every inch of my body. I was reminded of what it felt like to let go of the crud and just live life. It was absolutely incredible. Keep digging away at the dirt that might try to bury you. Look inward for inspiration, and not outward in exasperation. Find that peace and carry it with you everywhere you are. You’re 21! I know you totally lived it up, and god only knows you deserve it! First of all, let me start by saying how proud I am of you. Of everything you’ve done so far and everything that you hope to do in the future. You’re constantly on the run to do the next big thing and are not afraid to step outside of your comfort zone. We found each other at the right time. It was amazing how we connected over art, writing, books, and everything fabulously creative. This blog has not only been a way for us to keep in touch but has also paved its way as a timeline of my life in college. You know how excellent this blog is? 10 years from now I’ll be disposed to these glimpses of thoughts I had every week. So, let me just say, thank for you being my friend. Thank you for being my writing partner. Thank you for discussing the finer things in life and pushing me to do better. I am so excited for all your adventures.